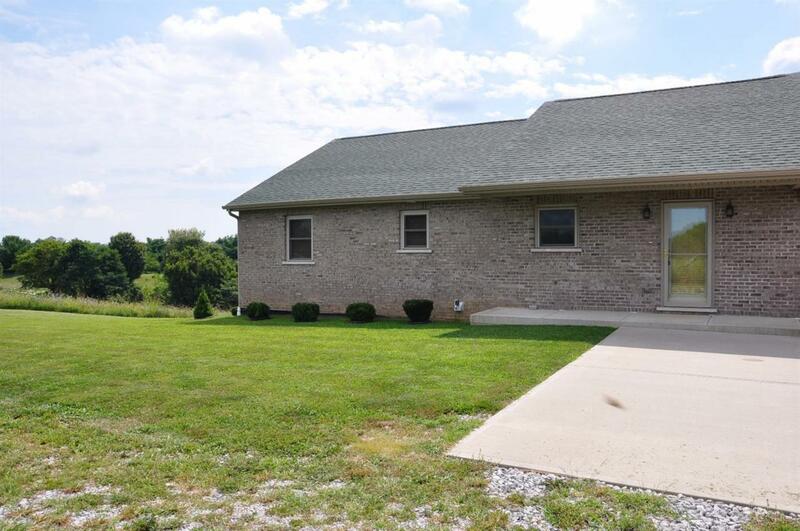 Well built brick ranch home with full basement. 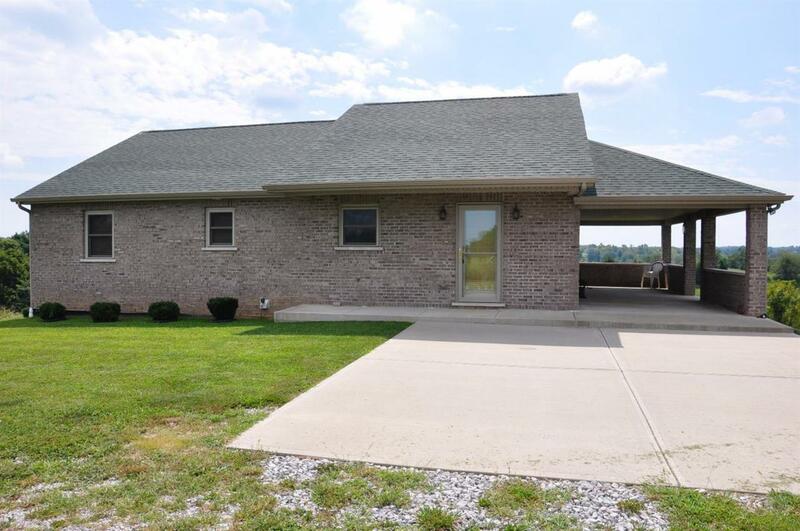 This 2 br, 2 bath home on 54 acres is designed for expansion. The basement is poured wall concrete with a full bath, a room reinforced for a bad weather shelter & two garage bays. Hardwood & tile floors, Frigidaire Gallery appliances, granite counters, wood cabinets, ceiling fans & lots of storage adorn the interior. 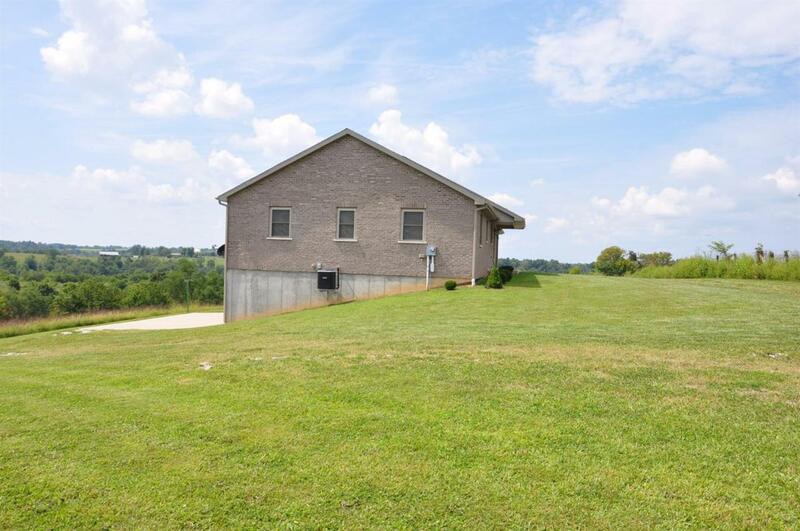 Beautiful views, fields of hay and a 4 bent barn with a rainwater capture system outside. Fenced and cross fenced. 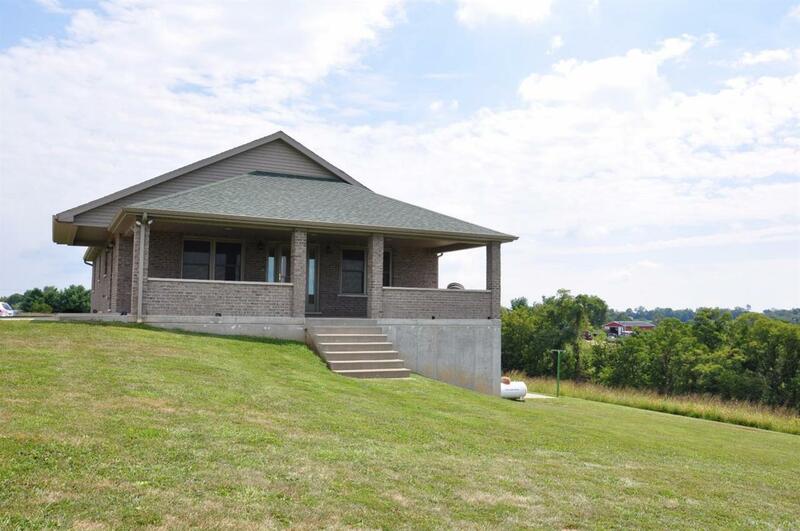 A covered porch overlooking valleys just waiting for comfy chairs and lemonade!